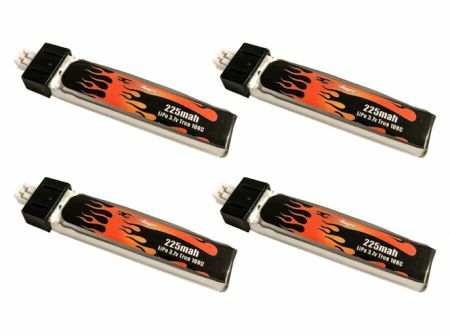 Extend your flight time and increase power on the Tiny Whoop™ by upgrading to our high-performance 225mAh 1S LiPo battery with 2.0 Power Whoop connector. Also compatible with Blade Inductrix FPV+ BNF. Love this battery use it in all my tiny whoops.
? ?s ???? ?? ?????? ????? ??? ???? ?????!!! Best whoop batteries on the market worth every cent. Won't fly my whoop without them. I've been using maxamps batteries for a couple years now and I have never found more bang for my buck! Best batteries I've ever used for all aspects of RC!! !